Today I am honored to introduce you to my Australian girlfriend (now living in beautiful Italy). Yvette has so much passion for cooking and creates the most interesting and mouth-watering culinary delights. Please visit her here yvettesblogs.com and share in her stories about their vineyard, her love for roses and recipes. This entry was posted on September 22, 2010 at 3:33 pm and is filed under Cooking, Friends, Musings, People, Random, Recipe. You can follow any responses to this entry through the RSS 2.0 feed. You can leave a response, or trackback from your own site. She lives in Italy AND she has a vineyard? How lucky can one gal get? Off to visit her now, thanks for the intro. 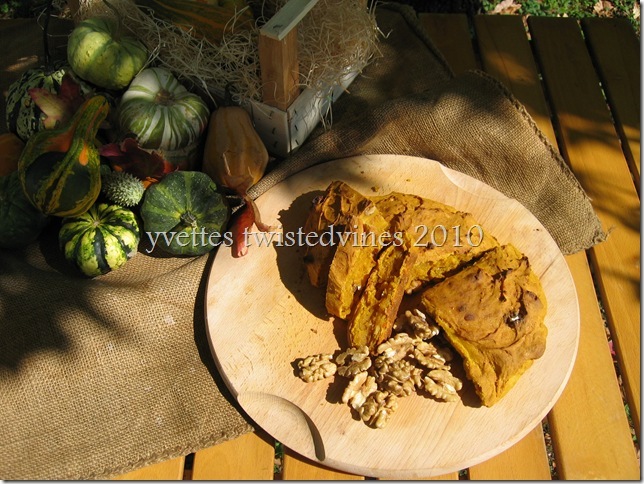 Yvette site looks like it has some interesting recipes to try…thanks for the introduction. Damper looks delicious and tempting. 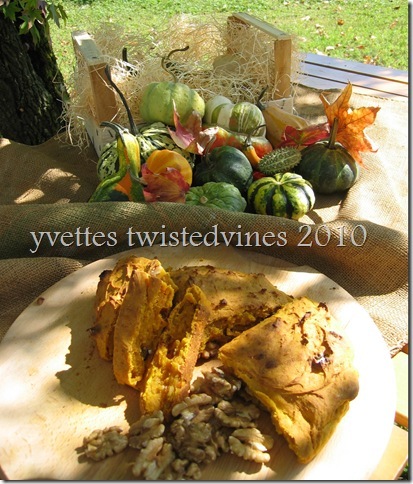 Something like a quick bread but different with a crust and a pumpkin flavor! Yummy. I may purchase a pumpkin during this autumn season and try out this excellent recipe! 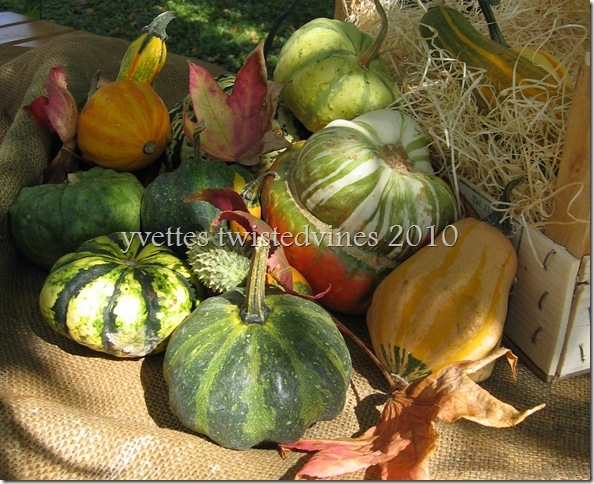 The squash are beautiful this time of year. I toured your friend’s blog. Very interesting. Thank you for sharing, Amanda. Not only educational for me, the presentation was a feast. Many thanks, Yvette and Amanda. p.s. I noticed “twistedvines” among other comments and meant to check out the blog. Glad to have the intro. I wonder how you manage these. really, I don’t the thing can be made with pumpkin in it that I wouldn’t like… this looks scrumptious!